Fibre optic cabling works for companies of various sizes as it can transmit more data over an increased distance. Because the fibres made from glass, it contains little or no electrical interference and they can be used alongside already-existing electrical cables in a Structured Cabling network. Protecting data is critical for businesses and homeowners. Fibre optic cabling, more secure compared to traditional cables such as copper cables as it does not emit any signals. Therefore, your sensitive data protected in a better way. Greater speed is also possible with fibre optic, and the cables unaffected by the elements, which makes for greater performance. Using Fibre Optic also allows for more users to access data without losing performance. For businesses that host video conferences, this is especially important as there will be a smooth and streamlined video experience for your audience. 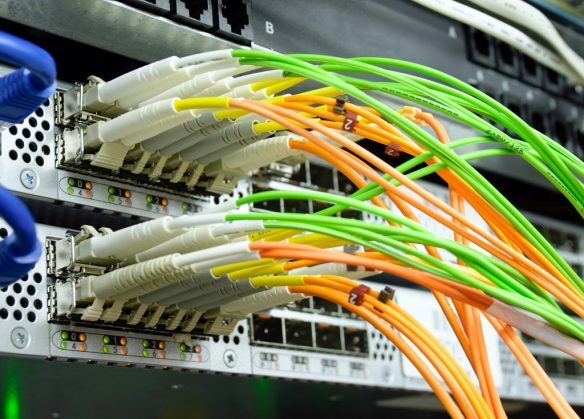 To learn more about how fibre optic cabling can help your business continue running smoothly, speak to us here at Midlands Cabling. We can safely ensure that fibre optic cables installed correctly to help your data transfers run as smooth as possible.